We are a Firm of Solicitors providing a wide range of legal services to both individuals and businesses. We pride ourselves on being approachable and understanding to our Clients needs in the provision of legal services. Our team of Lawyers and support staff are based in offices in Torquay and Brixham. All are experts in their field and carry the values of the firm with them to give you a friendly, informal and professional service whatever your needs from moving house to writing a will, discussing a criminal matter or dealing with a family issue. We have an excellent track record with many of our clients having been loyal to the Firm for many years, giving us an long standing reputation for client care and respected name in the profession. Sue is the wife of Senior Partner John Darby and has been with the Firm since it's inception in 1983. In addition to the management of the Practice Sue takes responsibility for the Accounts. Jo joined the Firm in 2015 to provide essential support to Sue Darby. Jo previosuly worked for a large firm of Solicitors in Reading and joined us after relocating to Torquay with her family. Cath is one of the longest serving employees in the firm having joined in 1992 as a legal secretary. She has been a valued and loyal member of staff since and has worked within most departments over the years. Kate joined the firm in 2014 as our Probate Assistant. She is a trainee Legal Executive. Kate works in the probate department dealing with all day to day matters concerning wills and probate. 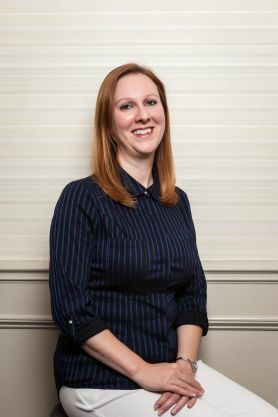 Jane joined the Firm in 2014. Jane has extensive experience as a Legal Secretary work and join us to assist in the Matrimonial department. Julie joined the Firm in June 2016 to provide support to our Torquay office. Julie has worked extensively as a Legal Secretary in Torbay and is a welcome addition to Conveyancing department. Ann joined the Firm in September 2016 as support for our new Brixham office. Ann has many years experience as a Legal Secretary and has settled well in Brixham.